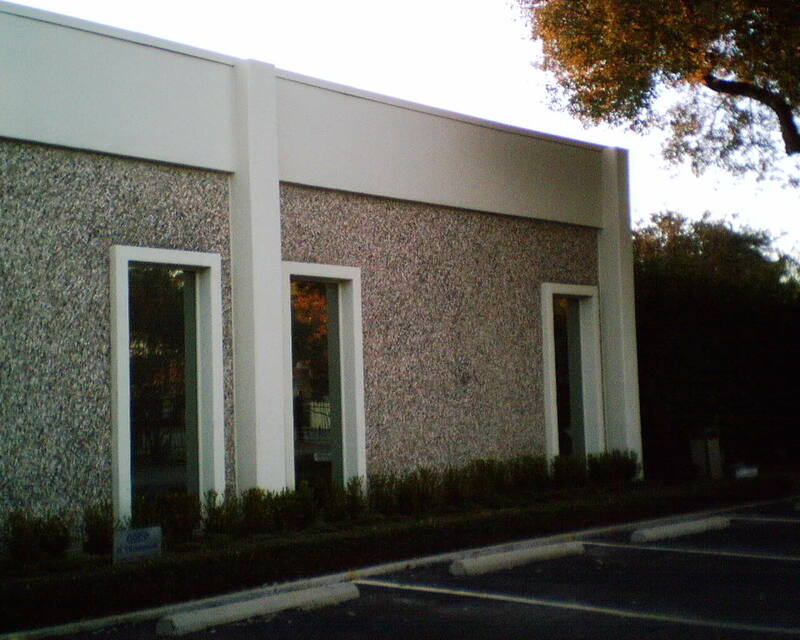 I don’t often work in offices or businesses or commercial spaces, but today I did take on a job in an office park (photo 1) off Westpark & Chimney Rock in southwest Houston. It was a pipeline company that was spiffing up their offices, and everyone who worked there was positively delightful. The wallpaper, however, was not quite so agreeable. 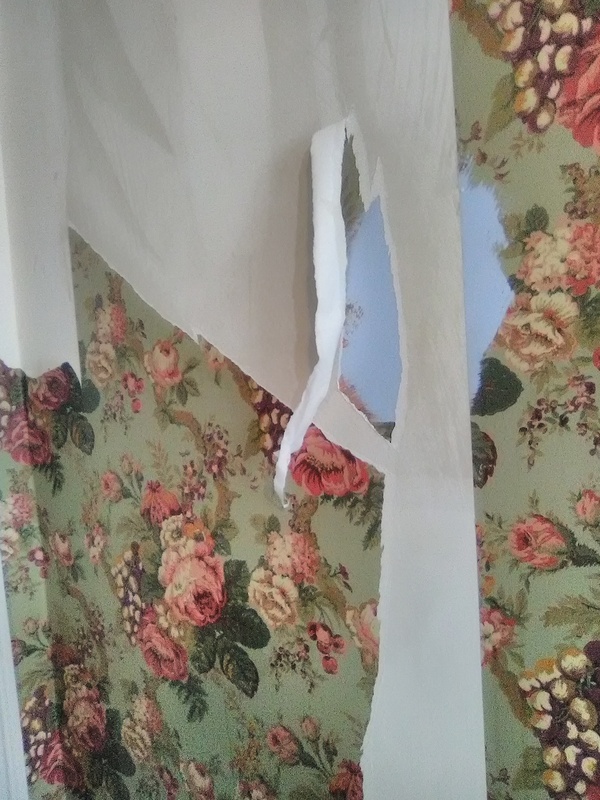 Anyway, as you can see in the next photo, there is a visible vertical 1/4″ wide line down each seam, between each strip of wallpaper. I didn’t think it looked good, and the other guys working on the jobsite noticed it, too, so I called the interior designer, who called the clients. 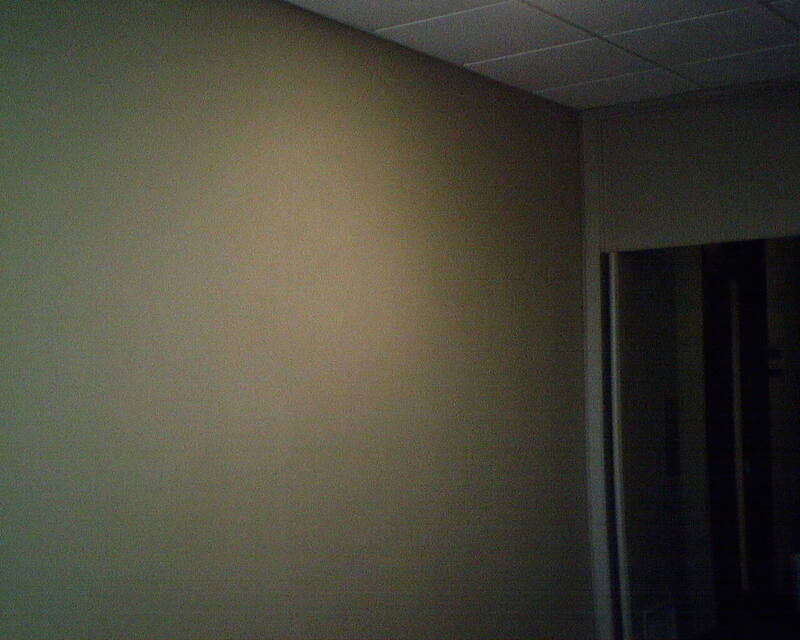 Bottom line: Although we all acknowledged that it didn’t look great, it wasn’t horrible, and besides, there would be furniture and a large painting on that wall, which would pretty much cover the white lines, as well as distract your attention to more interesting things (the oil painting). So, they gave the go-ahead to continue hanging the paper. Still, I thought it could look better. 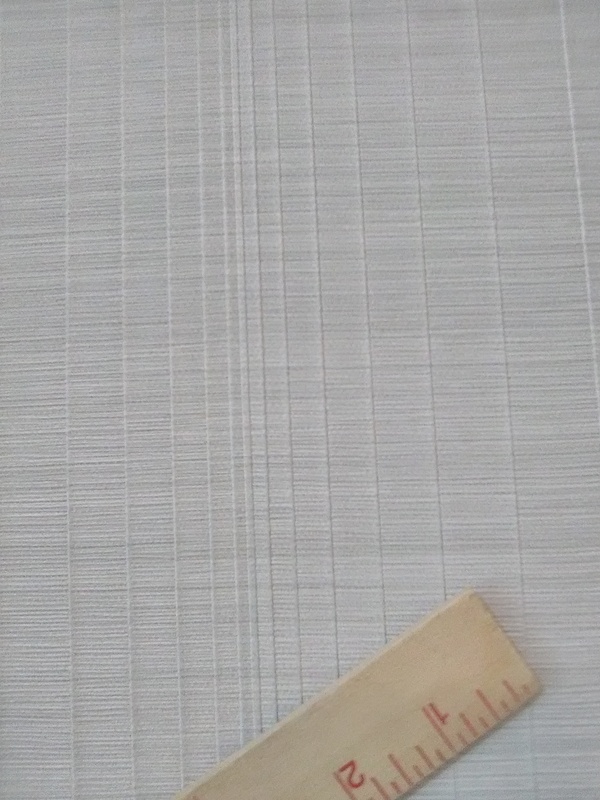 I was unable to remove the four existing strips, due to surface failure when attempting to pull those off the wall – Meaning, when the wallpaper, which is on a non-woven substrate, which is designed to strip off the wall easily and in one piece with no damage to the wall, when I pulled it off the wall, some of the paint came away from the wall, too, leaving an uneven surface on the wall, which would leave dips and bumps under the new wallpaper. I had Gardz’ed the wall, so I thought the surface was stable. 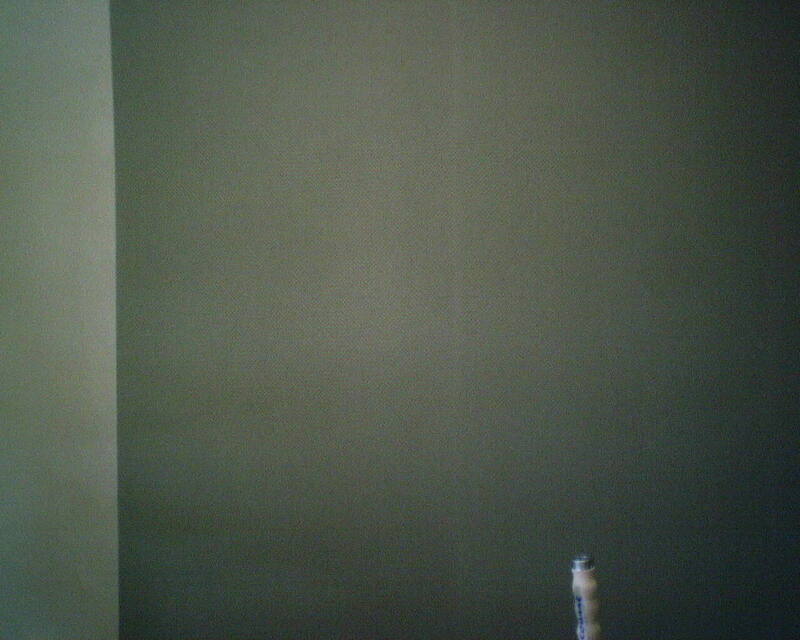 But if the paint beneath my primer is not sticking to the drywall, or if there are many layers of paint and they are not all compatible, or dust, or crumbling paint, or who knows what, you can have layers delaminating (coming apart), which is what I had today. Long story short, I thought the white vertical lines looked better than crumbling walls and bumps under the paper. So I left those strips up on the wall, and focused on the remaining five strips. 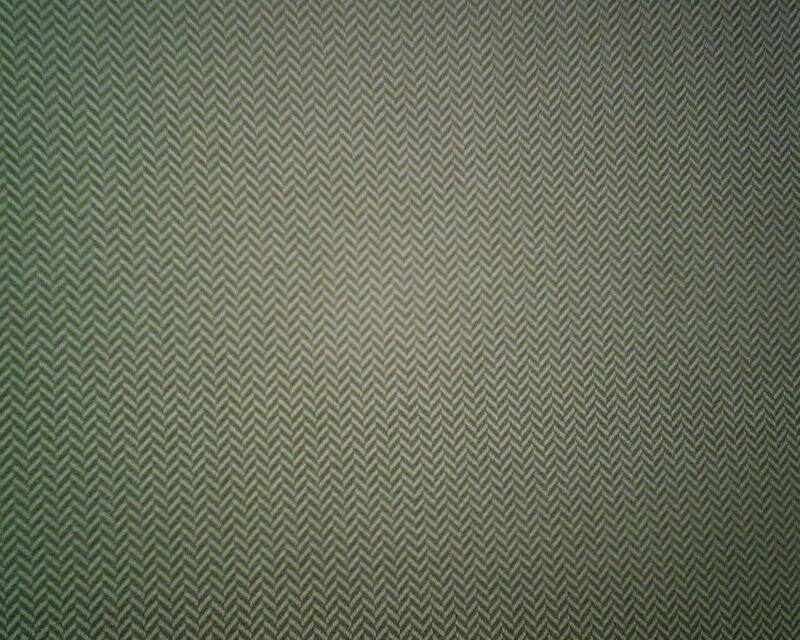 Since it was a pattern that allowed it, what I did was, instead of using Schumacher’s factory cut edge, I used my 6′ straightedge and razor blades to trim off 1″ or so from either edge of each 9′ strip of wallpaper, making sure to continue the reverse-hang rhythm, while also making sure the “up” or “down” angle of the herringbone pattern lined up correctly with the pattern on the strips on either side. This was tedious, but it proved to be the right solution. If you really looked at the wall, you could still see some of the seams, and there was still a bit of white discoloration. But the overall effect was MUCH more pleasing, and definitely worth the extra effort. 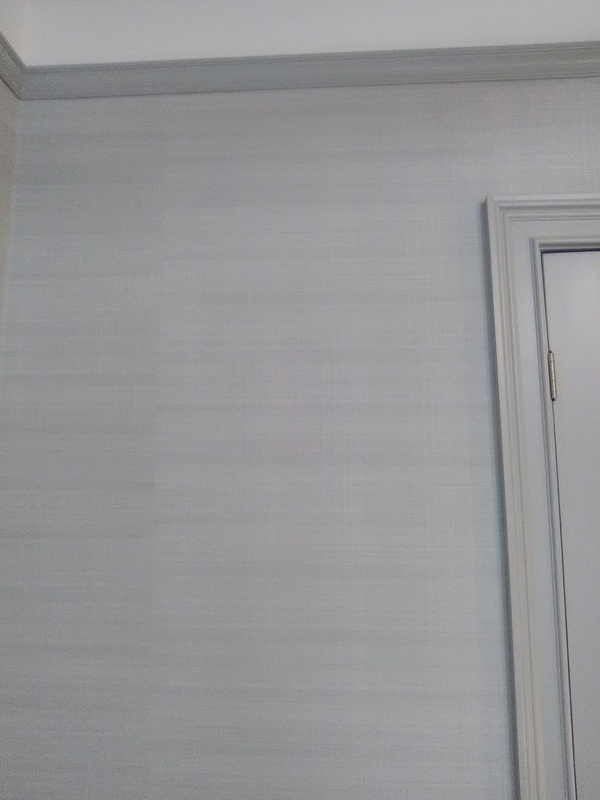 Unfortunately, I didn’t get a photo of the finished wall with the hand-trimmed wallpaper. 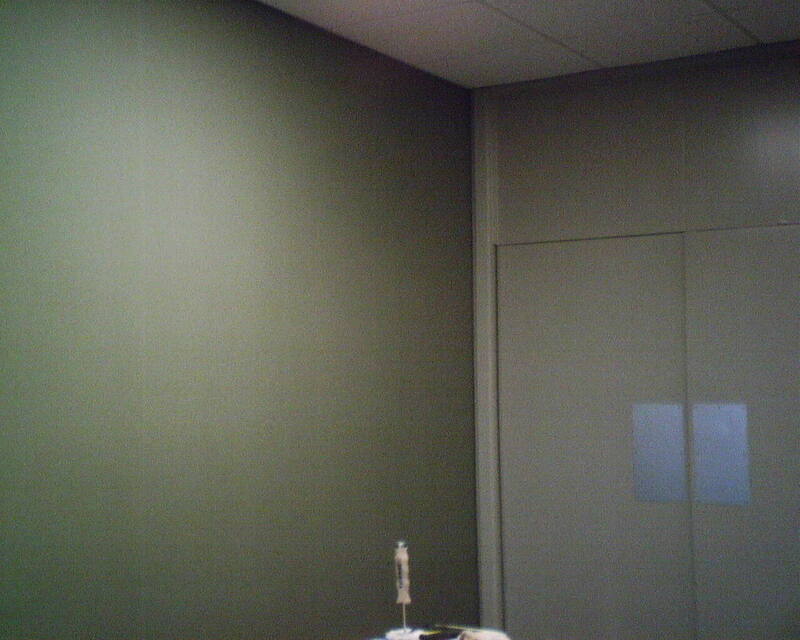 Interestingly, if you look closely at the “before” photo (#2), you can see a faint vertical white line on the painted wall, before any wallpaper even went up. This supports the designer’s theory that the strong fluorescent light is at least partly to blame for those white lines. 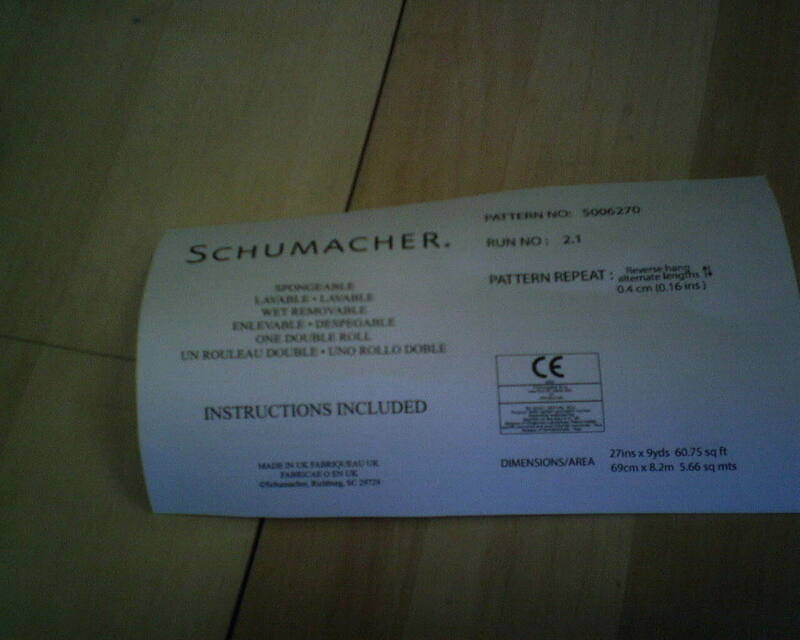 The interior designer for this job is Janet Dowlearn.